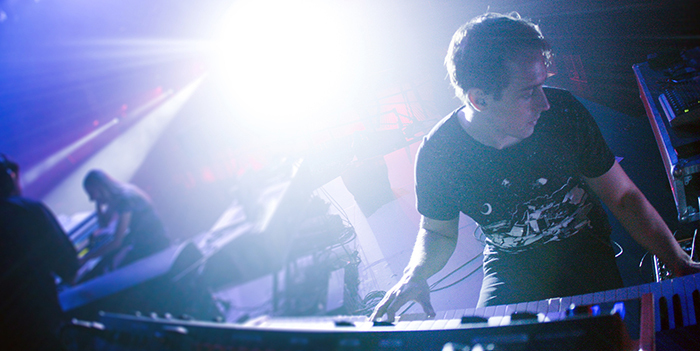 Peter James is a pianist/keyboardist from Sydney, Australia. He’s a session musician, songwriter, instrumental/film-score composer, sound designer, and touring performing artist. He’s also well known for his work with Hillsong Church – having been a keyboard player and programmer on more than 45 Hillsong albums – and for his software review videos on YouTube. Peter recently looked at several virtual pianos including our CFX Concert Grand. We share his thoughts on it in the short video below (spoiler alert, he’s wild about how the CFX captures the glorious sound of Abbey Road Studio One). Learn more about the CFX Concert Grand. 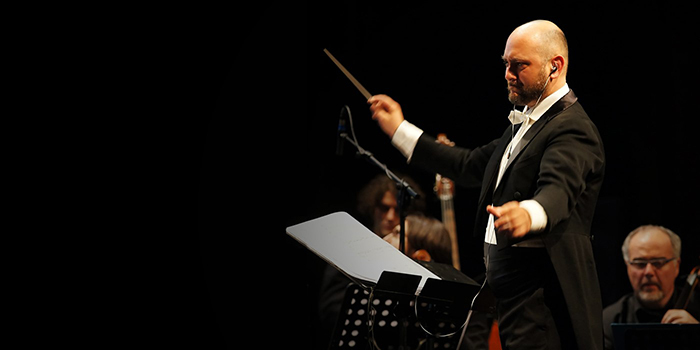 Francesco is a conductor, arranger, and orchestrator par excellence; and one of Italy’s best composers. I met Francesco online back in the early 2000s. He composed excellent music with our fledgling library and his musical mastery really stood out. Francesco was one of our early beta testers and I asked if he would like to compose some demos. Those demos are among the very best done with our libraries. Over the years Francesco and I developed a lasting friendship. My wife and I had the pleasure of visiting Francesco in Italy a few years ago and we learned that his musicianship is exceeded only by his hospitality. Francesco showed us around Rome and treated us to a wonderful home-cooked meal. He has a big heart and is very warm and inviting. It’s been a privilege and honor to know Francesco and count him as a friend. Francesco recently accepted a challenge to create a short piece using a least one sound from each library included in the new Garritan Anthology. We spoke with him about his career and his long-time association with all things Garritan, and we share the new composition below. Yes, my father was an important Italian violinist. My mother played the harp and I have a sister who is an opera singer at the opera house in Rome. When did you first suspect you wanted to be a composer? Almost immediately, as soon as I started studying piano at the age of 12. I felt that music helped me to describe the world around me. I wrote small pieces dedicated to whatever I experienced: to a leaf, to the sea, to a journey; anything. I sat on the piano and anything caught my attention – I played it! Did you have significant mentors in your life? No one in particular. Some composers that have been particularly inspirational to me include Allan Holdsworth, Jean Michel Jarre, Vangelis, Gustav Mahler, Chick Corea, Bill Meyers, and John Williams. I know that they are all very different from one another, but in each of them I found something that I then incorporated into my path, making me what I am today. I have never placed one genre of music above others, but within every genre I have always embraced what I viewed as good and have discarded the rest. Where did you study music? What was that like? I studied piano and composition in the conservatory. I must say that classical training is really the basis. Sometimes it may seem boring and difficult, but in the end, you realize that it gives you all the best tools to make fully-developed music. I see a lot of guys today who, having created two loops and a few low brass hits, consider themselves real composers. I would like to see these guys in front of a 120-piece orchestra while the bassoonist asks how to solve a phrasing issue at 56. It is something that you can not face if you do not have a solid preparation. And it is precisely by knowing the various instruments at this level that allows you to create a convincing virtual simulation. Do you do more work as a composer, conductor, or orchestrator? Which do you prefer? Most of my work has been –and continues to be – as an orchestrator and conductor in the movies. That is the world I love. However, I prefer to compose because this contains all three roles together. When I write I already have everything clear in mind before touching the keyboard, I already know what the orchestration will be, what the instruments I will use, and how the song should play. How did you first learn about Garritan instruments? In the early 2000s, computers were surpassing samplers like the Akai and the Emulator. The best libraries at that time ran on Gigastudio, but they cost a lot of money and not everyone could afford them. 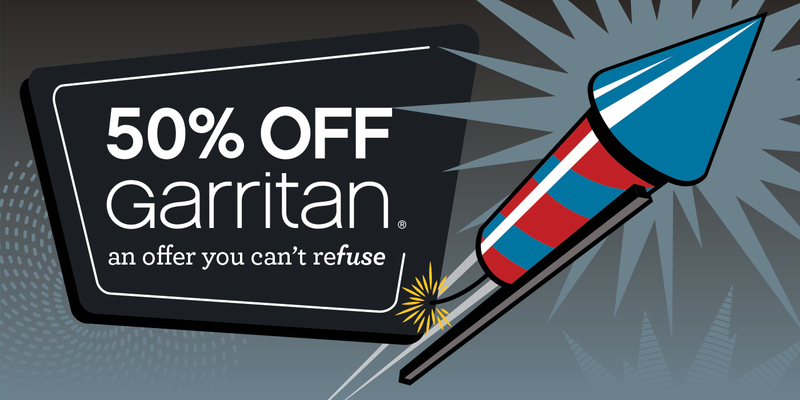 So when I saw Garritan Personal Orchestra (GPO) offering an entire symphony orchestra for only $250 … this was a revolution. I think I was one of the first people to buy it, and I was thrilled. What was your introduction to Gary Garritan? After buying GPO I made some demos that I sent to Gary. He liked what he heard and posted them on his forum to be judged by other users. It was a great success, both my music and the sounds of GPO were very well received. So Gary asked me for specific demos to demonstrate the various possibilities of the library, and our friendship was born. Do you typically compose with a DAW, notation software, or? I normally use Cubase, but when I have to write very complex orchestral passages I prefer pencil and eraser. When I see written music, I have a clearer vision of the evolution of a piece. How much of your work is created with the idea that live performers will perform it? Eighty percent of the music I create is eventually performed by real musicians. When I know that I will have an orchestra, I focus more on what the instruments can do and how they can perform at best, and I do not care much about the simulation. On the contrary, if I have to make completely virtual music I pay attention to all the details, from the breaths of the wind instruments, to the sound of the environment. Have any tips to create more realistic sounds with DAWs? Yes, as mentioned before it is important to have a lot of experience with real instruments to understand their possibilities and limits. As in painting: you can not draw a human body well if you do not know how the muscles and the skeleton are made. Especially if you can not get direct experience, it is vital to listen a lot, to copy, and then to assimilate. The internet gives us this chance today. Obviously, it helps to have virtual instruments of a certain level to get a convincing sound, but if you follow this path you will get a good sound even with poorer libraries. In this, I feel that the Garritan libraries are the best in terms of quality/price. I have used Garritan libraries in many films, even very high-profile productions. What libraries are heard in the piece above? The piece above begins with the CFX Lite and Classic Pipe Organs. Next, you hear Concert & Marching Band 2, which blends into Personal Orchestra 5 with Harps at the section’s conclusion. You continue to hear Harps over the Instant Orchestra section, which blends into Jazz & Big Band 3. Finally, we hear World at the very end. So you used something from every library? Yes! I tried to use as much as possible from every library. To use every instrument, however, would have created a feature-length piece! This demo was made in a single project, to demonstrate the consistency of Garritan sounds… Each part merges with the other naturally. I did not use any equalization, and all the reverbs are from the Aria Engine. I only added a compressor on the total mix to maintain good dynamics. What was your experience in using the various libraries? I know Gary’s libraries like the backs of my hands. This is not only because I have often collaborated with him during product development, but also because I know well the personality behind his work. In any case, during the realization of this demo, I felt like a child at Christmas: every time I “unwrapped” a new library, it seemed more beautiful than the one before. Garritan libraries are very efficient, light, and easy to use. The Anthology covers a vast breadth of genres and some sounds remain, to me, unparalleled today. One such example are the woodwinds in GPO 5. The CFX piano is incredibly beautiful, you experience a great feeling of pleasure in playing it. Even though it is a lite version it’s incredibly detailed and the plug-in has a lot of features. I believe the World library is the most complete of its kind: it contains instruments that I didn’t even know existed, and that are never found in other libraries. There are extraordinary instruments in both Organs and Harps as well. What I really like about Gary’s libraries is that, despite being easy to use, they reward a certain skill as a musician. You can open them, load the sounds and play them as they are, but if you know the secrets they become incredibly detailed and convincing. What are some of the higher profile jobs you’re most proud of? I was lucky enough to work with the biggest names in the world. I’ve done a lot of jobs, and right now I’m busy composing a soundtrack for a Hollywood movie, but I’m not saying anything yet. Among the projects I’m most proud of, I can mention my collaboration – with some of the world’s greatest print publishers – for the orchestral sequencing of accompaniments for Harry Potter (where I used the GPO very much), and the virtual instruments realization of Andrew Lloyd Webber’s Greatest Hits (where I’ve also used the GPO a lot). Just think; Andrew sent me his original handwritten scores of Jesus Christ Superstar (and others) from his London office. It was a very powerful experience to place my hands on that kind of musical history. In 2000 I orchestrated for more than 200 pieces for the “World Youth Day” during the celebration of the Jubilee in Rome, performed in the presence of Pope John Paul II, and broadcast worldwide. But the thing I’m most proud of is having met and worked with Gary Garritan. Greetings from Italy to all the Garritan and MakeMusic fans! Gary was right; working with Francesco is a pleasure. I enjoyed our interview and subsequent emails, and want to thank him again for sharing his experience with us. Creating a compelling performance with MIDI data in a DAW depends on the manipulation of Continuous Controller Data (“CC”) and MIDI Key Switches (“KS”) for dynamics and articulation. In Finale, this data is created automatically from score markings when Human Playback is turned on. The conventional wisdom regarding Human Playback CC data has been to turn it off for export to a DAW. The disadvantage of this approach is that all this humanizing data is lost, and the score won’t sound like you wrote it. 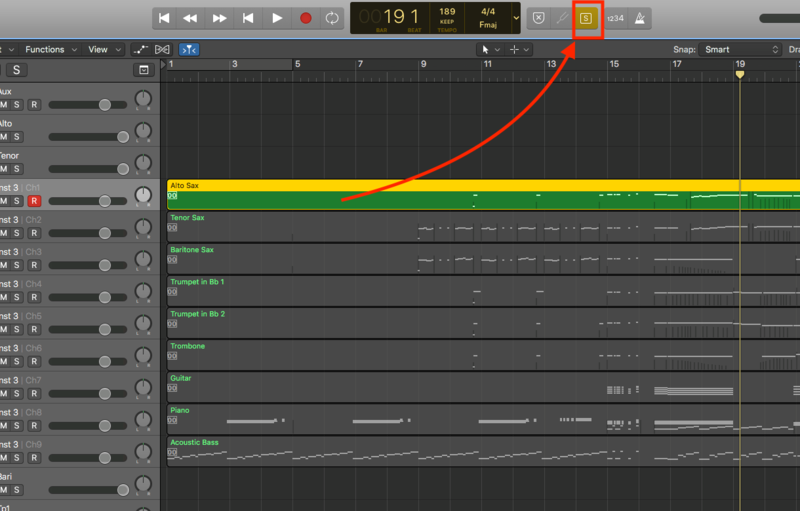 In order to replicate the advantages of Human Playback using a “clean” MIDI file in Logic, editors would need to spend hours editing CC data in their tracks, creating Mix Automation from scratch. 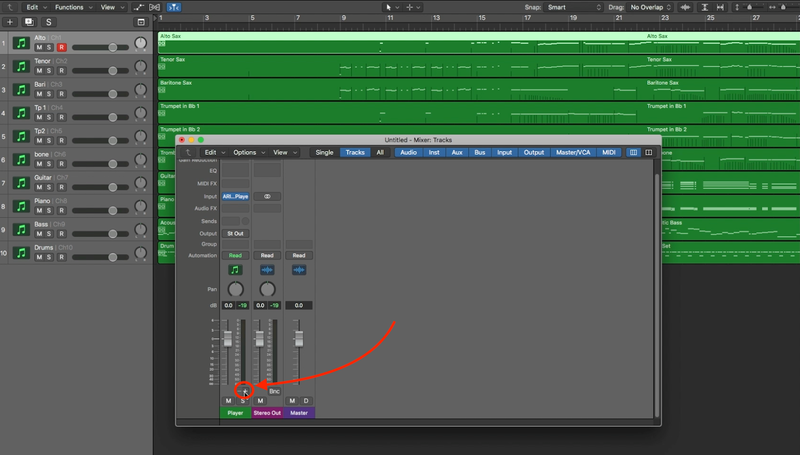 Create a “Track Stack” in Logic Pro X for each part. 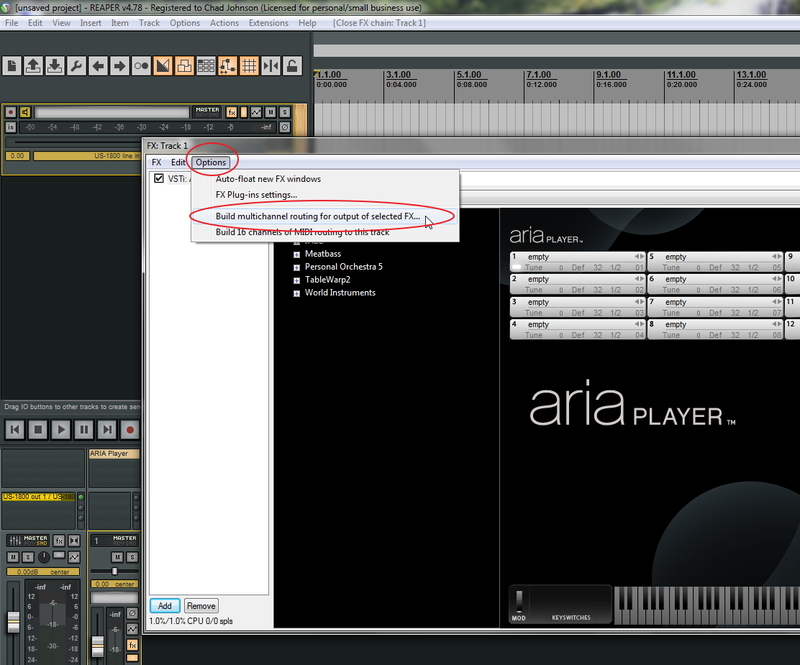 Using the ARIA Player offers the potential to take full advantage of the CC data created by Finale’s Human Playback, potentially saving hours of editing. 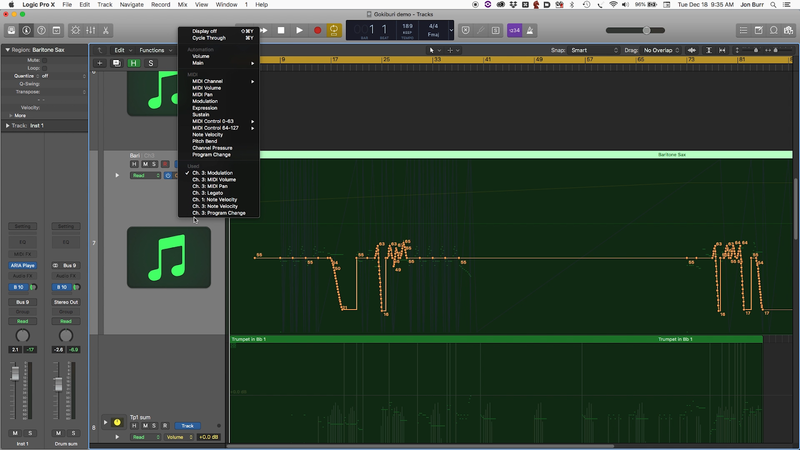 This approach automates the creation of a good performance of the MIDI data in Logic, saving a lot of editing during the production phase of the project. The following video walks you through setting up the ARIA Player (included in all Garritan Libraries) in Logic Pro X. I hope the video will be helpful, not only to Finale users, but also to Garritan users in general. Below, I’ve duplicated the high points of the video for those of you who prefer having a list. To save your ARIA Player Banks, go to MIDI/Audio>Audio Units Banks. From here click on the edit icon (it looks like a pencil) next to the bank you wish to edit. 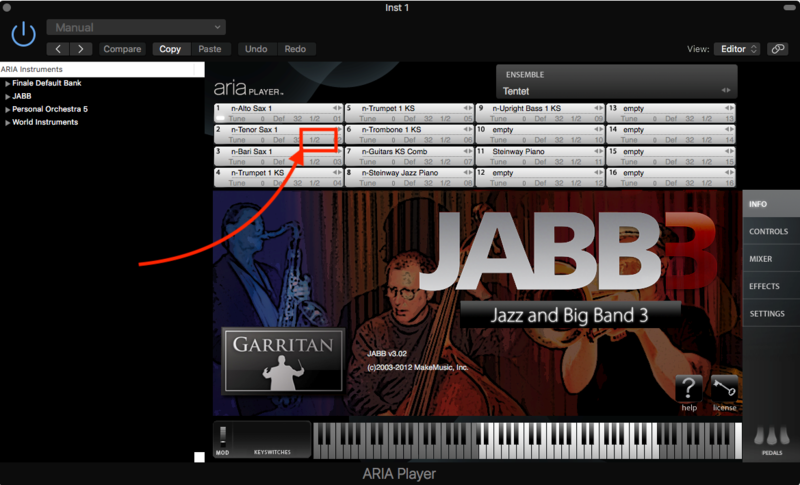 With ARIA Player open, click the down arrow near “Ensemble” (top right). Save the ensemble into your user folder. 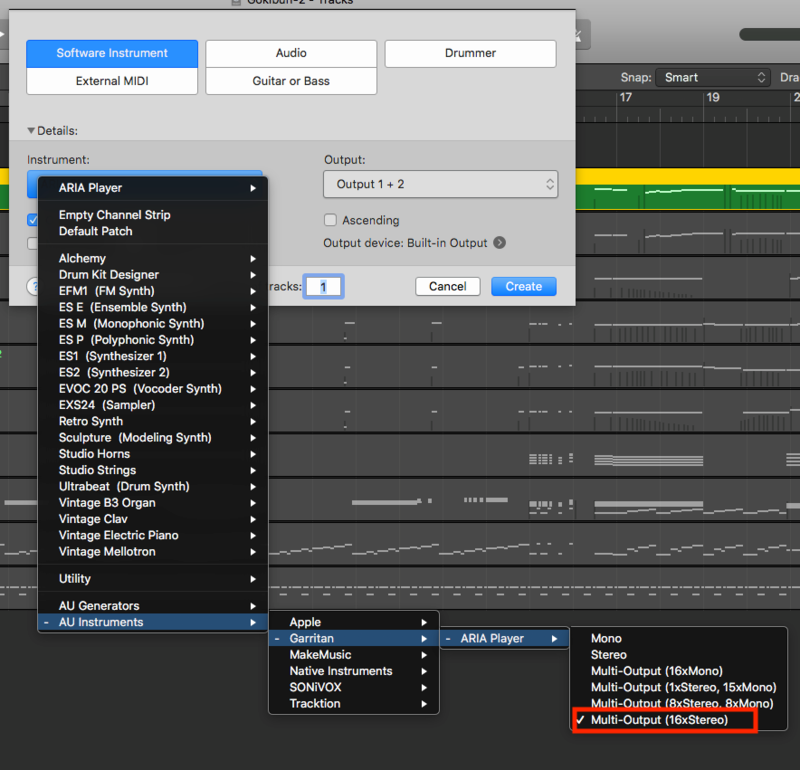 This creates a “Multi,” a multi-timbral instrument that can be instantiated in Logic Pro X. Open a Session. Logic prompts you to add a track before you can get in your session. The Aria Player will open. Next, load your saved Multi – and make sure your parts’ audio track routing channel assignments are distributed: 1&2, 3&4, 5&6, etc. When using the ARIA Player as a multi in a DAW, in order to get full control over the mix, audio channel outs need to be reassigned from the default out 1&2 main stereo output. 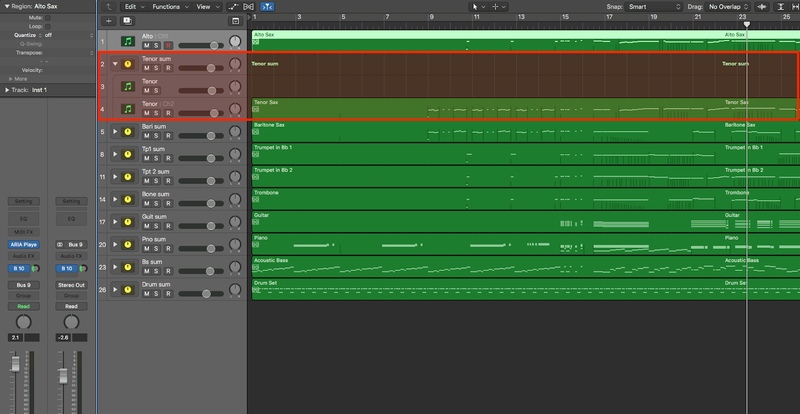 The first track you see in the Arrange view is the “master instance,” an instrument track hosting the player. You’ll see additional Aux tracks that will host your MIDI data. Name the tracks, corresponding to the parts in the multi you just loaded. At this point, import your MIDI. 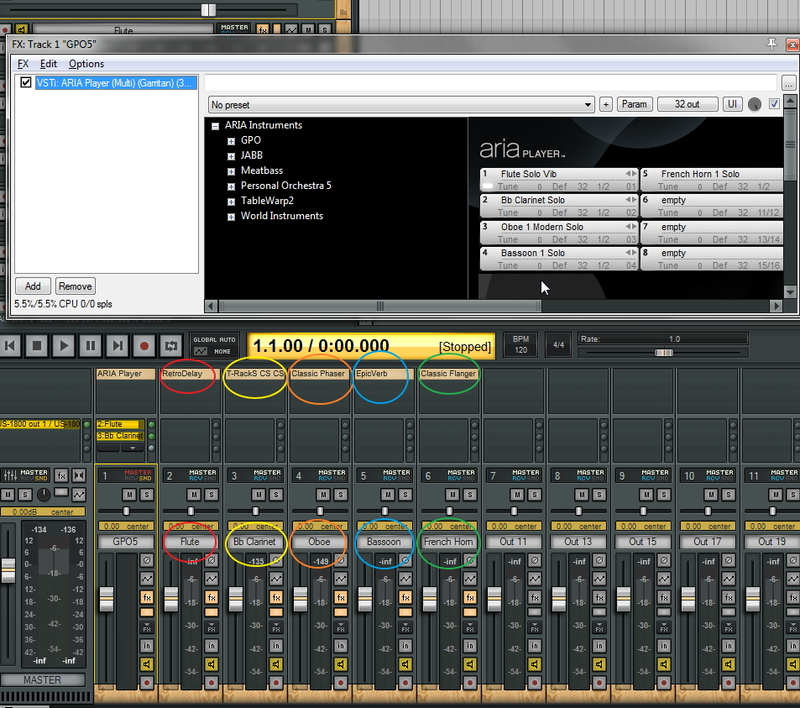 It will load into a series of new instrument tracks in the Arrange window. 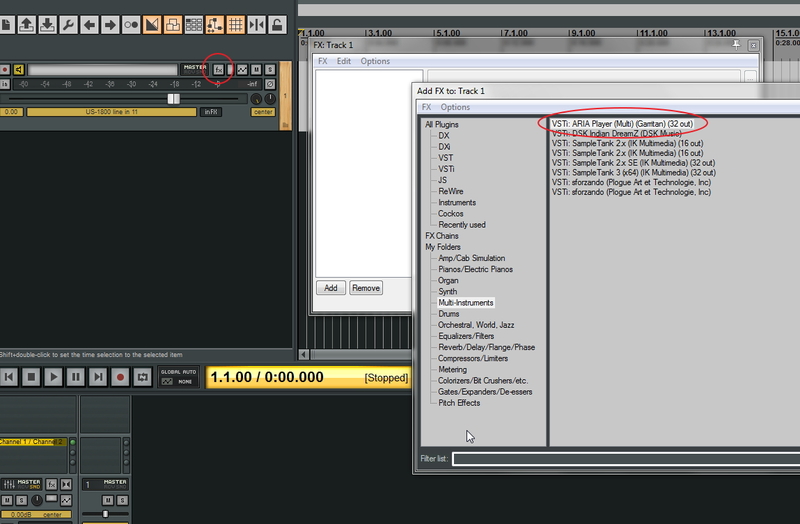 Select all your MIDI tracks and drag them up to the Auxes. After doing that, delete all the instrument tracks created during MIDI import. Now you have a separate Aux track containing your MIDI data for each MIDI channel, with your MIDI track data routed to its corresponding channel on the ARIA player, and receiving audio from the ARIA Player on a discrete audio pair. This takes care of MIDI–out, Audio–in for your MIDI tracks. At this point, you’ll be able to bounce each part to an audio track, and go on mixing from there. But if you want to be able to edit or add to your MIDI once it’s in Logic (with full mix control before you bounce any audio), there’s more to be done. After importing your midi, you can see what Human Playback adds to the file. Aside from writing MIDI volume and pan information, it also writes automation in seven CC Automation Lanes, plus Key Switches to change samples for articulation changes. Here’s a view of Modulation CC data as written by Human Playback, following score markings. You may have noticed that the track solo buttons currently kill playback. 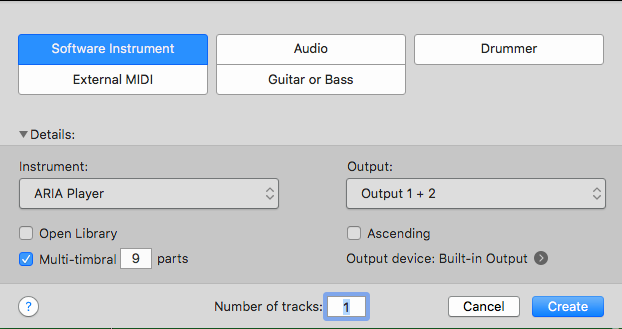 It appears at first you can’t solo a track (unless you already know about the Region Solo and Mute functions in Logic Pro X). Why? There’s a toolbar icon for Region Solo (but not Region Mute). The easiest way to solo and mute at this stage of the game is to select the region and select “Control–s” (Solo) or “Control–m” (Mute). At this point, you might not have any effects on – which is good when you’re bouncing audio this early in a session. There is more to be done. Now we need to create an additional set of Aux tracks to enable us to mix and process the audio for each track coming from the ARIA Player. Logic Pro X automates the creation of these aux pairs, and enables them to be joined in a Track Stack. 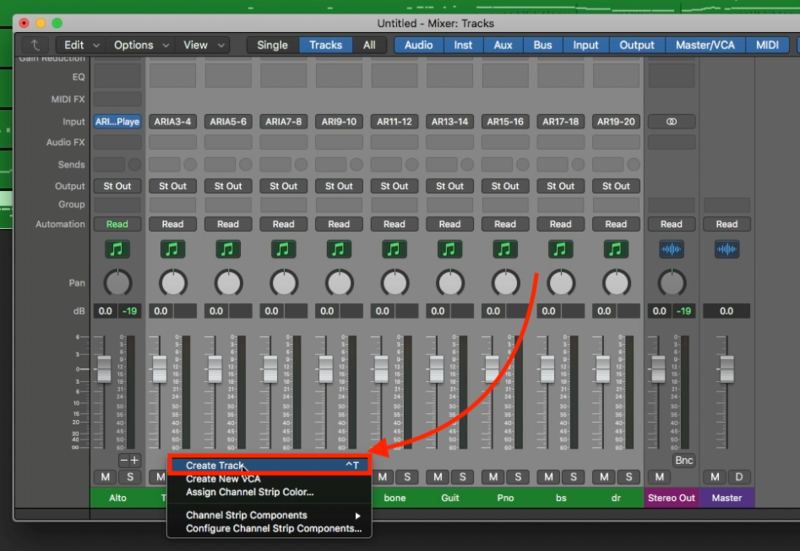 Next open your Mix window and create Channel Strips for the parts in the Multi by clicking “+” in the first instrument track. Then name your newly created Channel Strips. Select all the strips you just created, then right-click to Create Tracks, which will show up in the Arrange window. Now you’ll have a pair of aux tracks for each part. 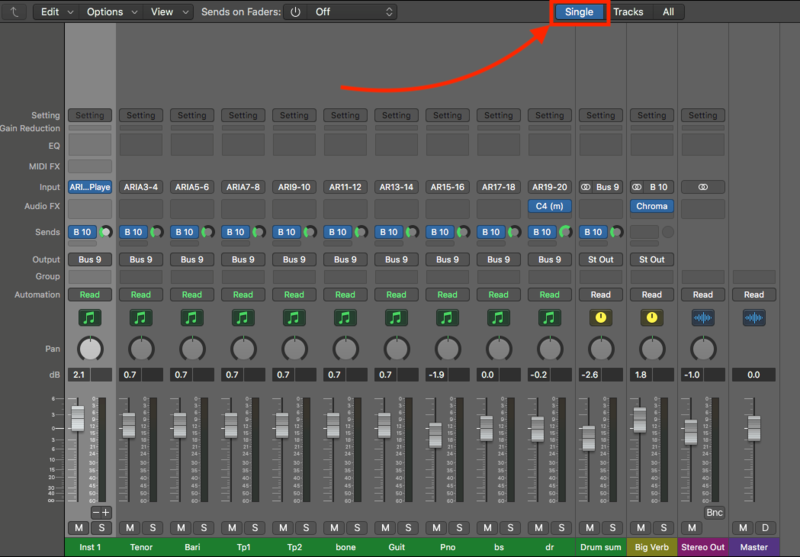 For mixing, selecting “Single” view presents a set of controls that work for mixing in every track. And that’s it. Now you’re ready for mixing. 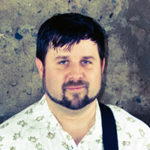 Jon Burr is a composer, arranger, producer, recording engineer, bandleader, bassist, and educator from Yonkers, NY and a Finale user since 1996. 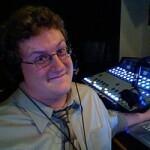 As owner/operator of Arranger for Hire, he serves music arranging and production customers from around the world. 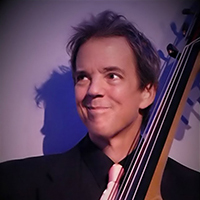 A veteran touring bassist, his performance credits include Tony Bennett, Buddy Rich, Stan Getz, Chet Baker, Eartha Kitt, Rita Moreno, The Hot Swing Trio, Stephane Grappelli, and many others. Arranging customers have included the Mel Lewis Jazz Orchestra, Chilean Astronomy Society, The Milpitas Community Concert Band, The Honey Taps, The Montclair Kimberly Academy’s annual musical, The MCoE Concert Band at Ft. Benning, Symphonia Phonotone, and many others. He writes for and leads his own ensembles, including the Jon Burr Quintet. His arrangements for Swedish YouTube artist Kim Andersson have received over 5 million Facebook views. Earlier this year I reported that we were in the process of updating all Garritan installers, primarily to support current Macintosh operating systems. That work has been completed, for every library, for some time. Since then, however, we have updated all the installers again, this time to improve compatibility with Finale version 26, which was released on October 10, 2018. This work has been completed as well. 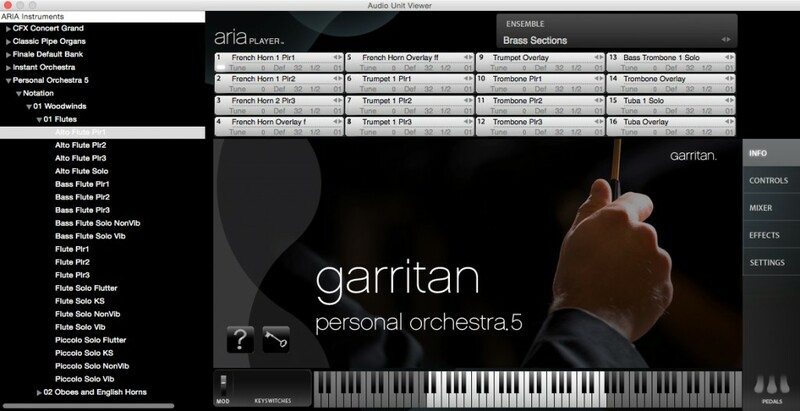 The installer for every non-CFX Garritan library has been updated: Personal Orchestra 5, Instant Orchestra, Jazz and Big Band 3, World Instruments, Concert and Marching Band 2, Classic Pipe Organs, and Harps. 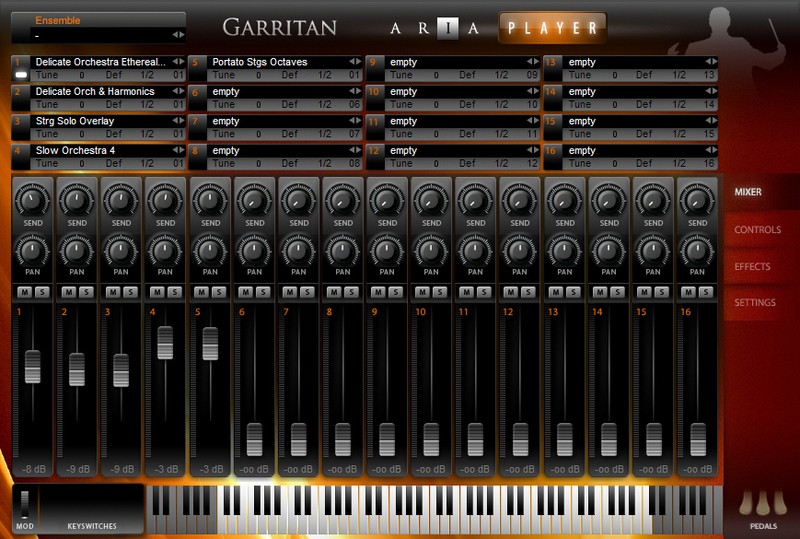 Previously, the Garritan Abbey Road Studios CFX Concert Grand virtual piano has never been available for download. This was due in part to its size and to the fact that it was first released when fast internet connections were less commonplace. Now, starting this week, the CFX is downloadable. So whether you’re buying the full CFX for the first time, or are simply reinstalling it, you can download the installer from your Garritan account. To do so, go to garritan.com, click on MY ACCOUNT, and login. This will bring you the My Account page with the My Software tab selected. From here you can choose to download any Garritan library you’ve purchased. While at just over 13 GB it’s still a sizable download, we think you’ll appreciate having another option, especially if you find yourself 1000 miles from home and unsure of where you left your CFX flash drive. 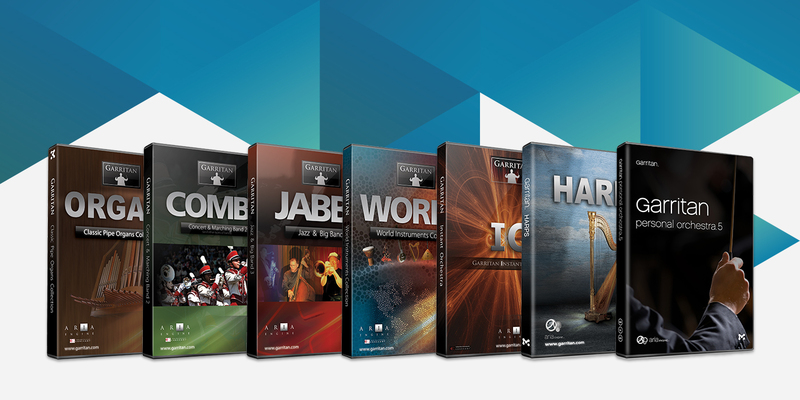 Now through the end of the week, you can get a free Garritan virtual instrument library when you purchase, trade up to, or upgrade to Finale v26. To own both Finale v26 and your choice of a Garritan library, add both to your cart, then enter promo code CYBERWEEK18 at checkout. Hurry, this offer ends at noon, MST, on Nov. 30, 2018. Limit one per customer. US only. Hurry, like fuses on fireworks, time is running out. These offers expire at 11:59 pm MSTon July 7, 2018! 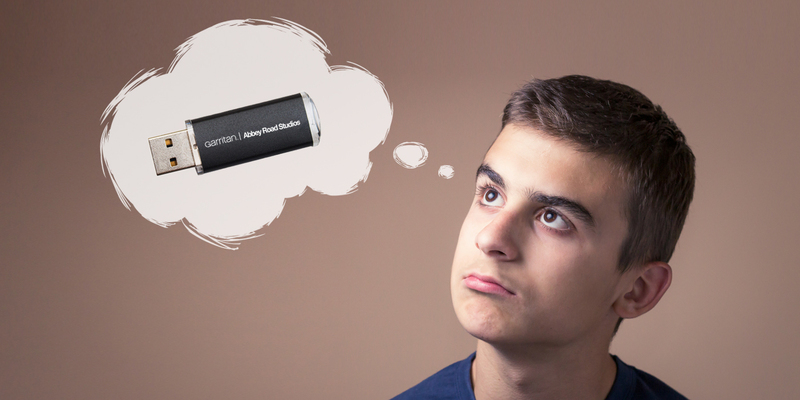 Note: CFX and CFX Lite are not included. Promotion available in the U.S. only. 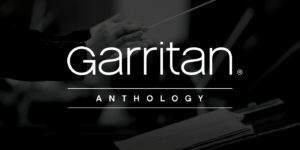 Garritan offers two high-quality, affordable orchestral libraries: Garritan Personal Orchestra 5 and Garritan Instant Orchestra. If you’re wondering what’s the difference (or are trying to decide which one would be best for you), you’ve come to the right place. 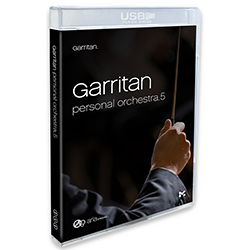 Garritan Personal Orchestra 5 (GPO 5) gives you everything from pristine solo and section violin, viola, cello, and bass to a complete orchestra including strings, brass, woodwinds, percussion, keyboards and more. See the complete list of 500 instruments. Also included are a wide variety of instrument-specific articulations and techniques, performance spaces and reverbs, and instrument body resonances, all engineered to provide incredible realism and authenticity to your music. If you conceive of each instrument of the orchestra as a separate staff or track, GPO 5 is for you. Of course, working in this way allows you to control the velocity, balance, panning and more of each track or staff individually for ultimate control, regardless of whether you work in a notation program or a DAW. Learn more about GPO 5. 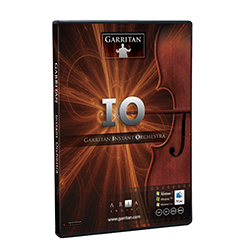 While Garritan Instant Orchestra (IO) also offers spectacular orchestral sounds, it really is something entirely different. IO reinvents the way orchestral music is created by simplifying and streamlining the process. It is designed to create full cinematic orchestrations from just a few lines of music (or a few tracks in a sequencer or DAW). With preset combinations and mash-ups, mood-based presets, and orchestral effects, you can instantly evoke a wide range of emotions and moods. IO provides an empowering experience where almost any musician can sound like an A-list Hollywood composer. If you’re more interested in quickly creating an orchestral sound than producing an orchestral score, IO is your ideal solution. In short, GPO 5 and IO serve two very distinct purposes. If your ultimate goal is to produce a notated score that musicians will perform – and you want to have ultimate control over how that score sounds – GPO 5 was designed for you. If, on the other hand, you want to quickly and easily create some compelling orchestral music, IO may be the better fit. But who’s to say that you are an either-or type of musician? Many of us work on multiple projects with drastically different musical goals. If you want to maximize the available options in both your sonic palette and your creative flow, consider them both. It’s a brave new world in music production today. The tools available to the common musician, which would have been unimaginable a few decades ago, have leveled the playing field like never before. With a little knowledge and attention to detail, we can create stunningly life-like soundscapes that rival the pros in all aspects. And the most amazing part is that we can achieve these results while spending only a fraction of the thousands (or tens of thousands) of dollars once necessary to do so. DAW programs like Reaper can go toe to toe with long-established giants while costing pennies on the dollar comparatively. And thanks to the Garritan sound libraries, you’re free to truly create the music once trapped inside your head, and you don’t have to take out a second mortgage on your home to do so. While this article focuses on a few ways you can get the most out of combining Reaper with Garritan Personal Orchestra 5 (GPO 5), the tips offered are applicable to all Garritan libraries. Music production has become an increasingly hybrid practice, both in tools and genre. It’s becoming more and more common for a film or TV score to feature such disparate sources as a gently-plucked acoustic guitar and a throbbing, sub-bass synth line within moments of each other (or simultaneously). Composers are seeking out new sounds—or new combinations of sounds—constantly in an ongoing effort to create memorable, affecting scores that are both unique and compelling. To this end, it’s advantageous to have a setup that fosters this type of creative sound-twisting, and that’s our focus here. The great thing about GPO 5 is that it allows you to decide how you want to use these phenomenal sounds: traditionally or not so traditionally. We’re going to focus on the latter here by setting up the library with multiple outputs in Reaper, allowing us maximum tone-shaping capacity. So, let’s say you’re working on an experimental score, and you want to treat each of GPO 5’s instruments specifically for a unique sound. Maybe you want heavy compression on the percussion, and you want a slapback delay on the brass. And maybe you want to add a phaser on the strings and some oscillating tremolo on the woodwinds. Why not? The problem is that you can’t just slap those effects on the track with GPO 5 if it’s set up with a typical stereo output because all of those effects will appear on all of the instruments. Of course, one solution is to add multiple instances of GPO 5, each one with only one instrument, and add the desired effect to each of those tracks. But there’s a better way. We’re going to see how to set up GPO 5 so that each one of the 16 channels within the ARIA Player outputs to a separate track within Reaper. That way, you can treat each one to its own set of effects and then blend each to taste within the master mix. There are a few different ways to do this, but Reaper makes it very easy from the start. GPO 5 is loaded into a project by way of the included ARIA Player sampler. This excellent player features a 16-channel mixer, many lush-sounding built-in reverb presets, and loads of instrument-specific controls. However, if you want to go beyond that and treat your strings to a delay or vibrato effect, for example, you’ll need to do so with an additional plugin outside of ARIA. That’s no problem: Reaper can help. To add GPO 5 to a track in Reaper, you simply click on the FX button for that track and then select the ARIA Player with the “(Multi) (32 Out)” option. 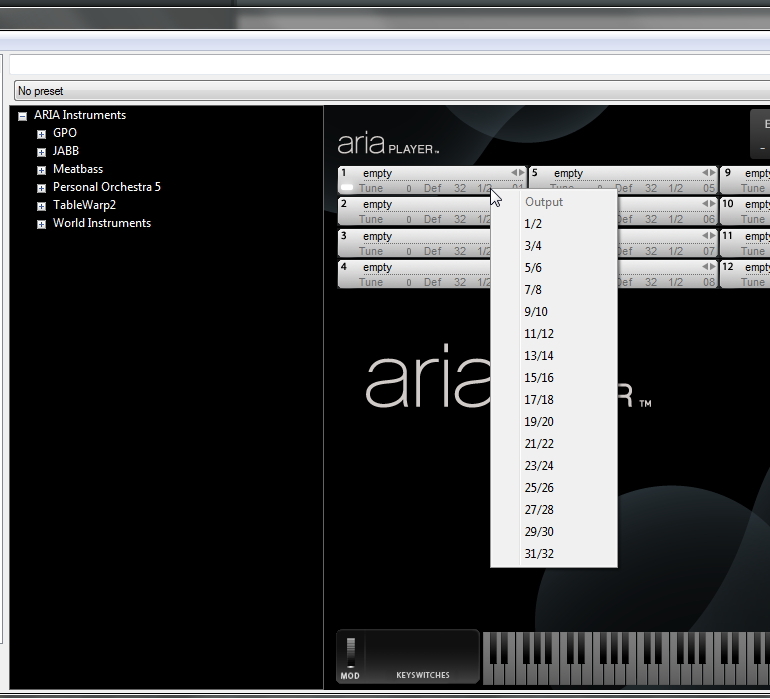 This will load the appropriate version of ARIA Player, allowing you to output each channel separately. 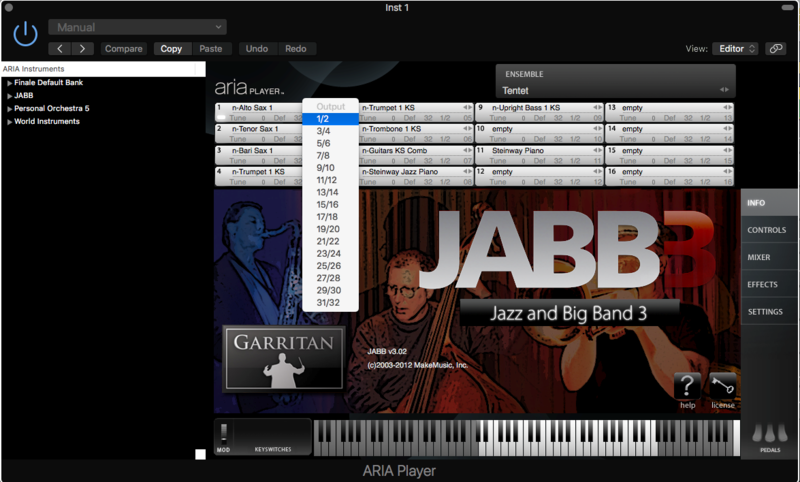 Once you see the ARIA Player on your screen, you’ll need to follow a few more steps in order to configure the multiple outputs. 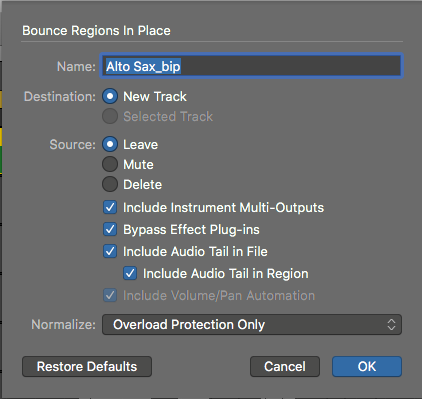 First, with the FX window for GPO 5 open, click on the Options menu and select Build multichannel routing of output for selected FX… A Build Routing Confirmation dialog box will appear, asking Do you want to add the following tracks to this effect? Select Yes. At this point, Reaper will build 16 additional tracks for you, labeling them “Out 1,” “Out 3,” “Out 5,” etc., continuing in odd numbers up to “Out 31.” This is, in effect, 16 stereo outputs for GPO 5 (which explains the “32 Out” clarification earlier). There are a few things to notice here. 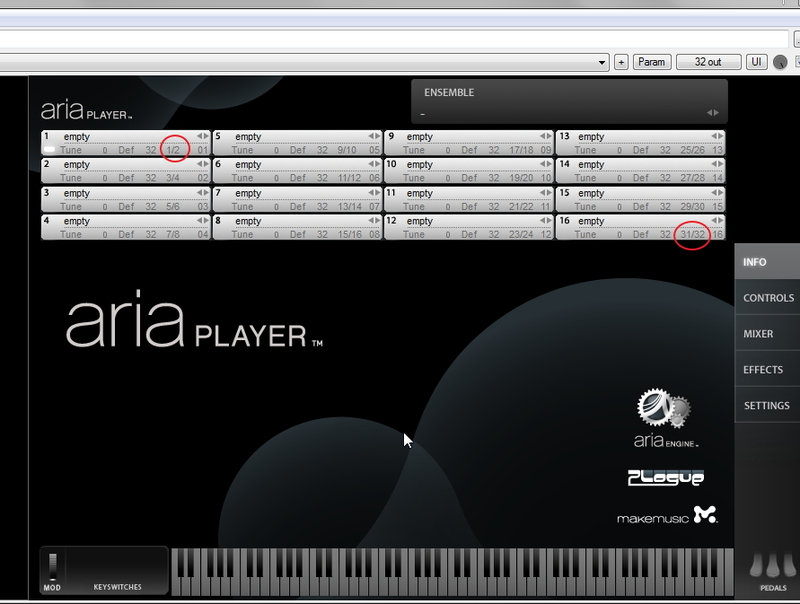 You’ll see two columns of numbers in the ARIA Player, circled in red and blue below. The red numbers represent the output, while the blue numbers represent the MIDI channel for each sample. The MIDI numbers are fine to leave as is, but, in order to make this work the way we want, we need to assign each channel to the appropriate output. In other words, we want to assign Channel 1 in the ARIA Player to output 1/2, Channel 2 to output 3/4, Channel 3 to output 5/6, and so on, all the way down the line. You do this simply by clicking on the output numbers and selecting the desired output. 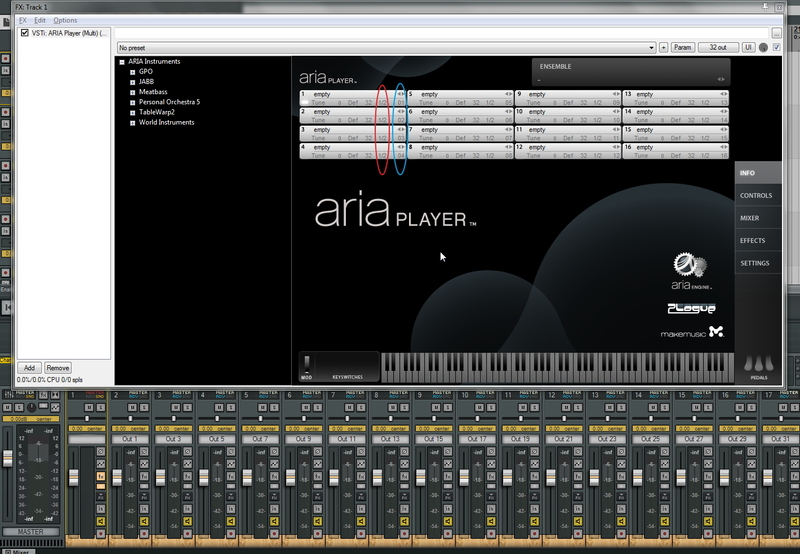 Once this is done, your ARIA Player should look like this. Notice that the outputs span from 1/2 to 31/32. At this point, it would be a good idea to save this as a project template in Reaper so that you can instantly recall this configuration whenever you want. Select File > Save Project as Template and name it as desired. And that’s it! You can now assign whatever effect you want to whichever instrument you load into GPO 5 without affecting any of the other instruments. In the example below, I’ve selected the “Woodwind Quintet” ensemble preset in GPO 5, and I’ve named the corresponding tracks in Reaper (Flute, Clarinet, Oboe, etc.) to make it easier to keep track of everything. Notice that each of the five instruments has a different effect assigned to it in Reaper, providing ultimate flexibility come mix time. Keep in mind that this is merely scratching the surface of what you can do when combining these two powerful programs, but it’s a great start, and it may be all you need to create that one-of-a-kind soundscape you’ve been after. Who says you can’t add a wah-wah and fuzz pedal to an oboe? Enjoy the possibilities! 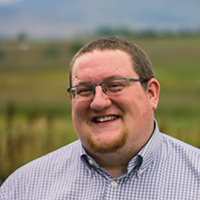 Chad Johnson is a freelance author, editor, and musician based in Denton, Texas. 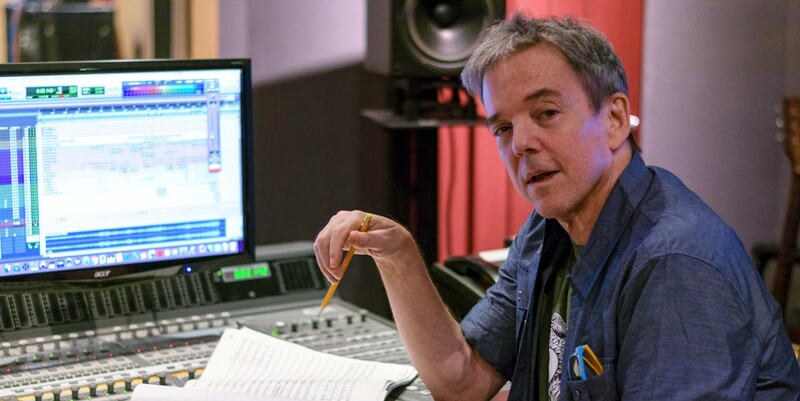 He’s authored over 80 instructional books for the Hal Leonard Corporation, covering a variety of instruments and topics, including Ukulele Aerobics, Guitarist’s Guide to Scales Over Chords, How to Record at Home on a Budget, and How to Build Guitar Chops, to name just a few. He’s a featured instructor on the DVD 200 Country Guitar Licks (also published by Hal Leonard) and has toured and performed throughout the East Coast, sharing the stage with members of Lynyrd Skynyrd, the Allman Brothers Band, and others.